That’s great! But now you have to decide which specific film is right for your car. And that question can be a foggy one. Maybe you’ve read some forum debates about XPEL vs. 3M or you’ve heard about other companies like SunTek, LLumar and STEK. Well, it’s time to clear up the issue. We are going to give you an inside review of the similarities and differences between three different films: XPEL Ultimate, LLumar Platinum (also sold as SunTek Ultra), and 3M Scotchgard Pro series. FIRST, ALL THREE OF THESE FILMS OFFER HIGH PERFORMANCE PROTECTION. 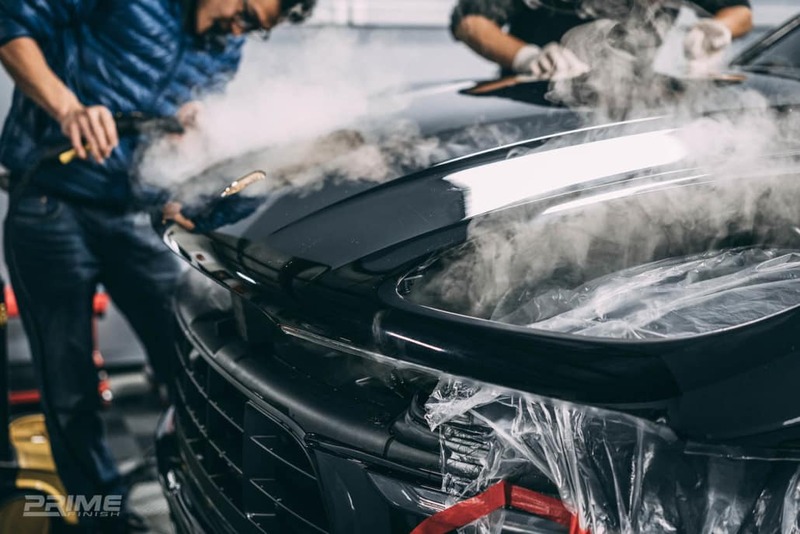 They all perform at a high level to protect your car’s paint from rock chips, chemical stains, small scratches, UV damage, and whatever else nature or the road throws at your car. None of them offers bullet-proof protection. No film or product ever will. But all three of them will do a very good job and are comparable in terms of the protection they offer. All of these films are about 6 mils thick not including the adhesive. And to top it off, all of them have “self-healing” properties, which means that small scratches in the film will disappear after the film is exposed to heat. SECOND, ALL THREE OF THESE FILMS ARE CRYSTAL CLEAR AFTER A QUALITY INSTALLATION. There’s not much point in getting a product that protects your paint if in the process it makes your paint look terrible. The benefit of all of these films is that they are invisible to the naked eye after a quality installation. And all of these films retain their transparency very well. Previous generations of films had problems with yellowing over time, especially after extended UV exposure. The yellowing effect was actually occurring in the adhesive under the films. Since then the industry has developed superior adhesives that do not yellow over time, which means that if you get one of these films you can be confident you will have a crystal clear finish that is not susceptible to premature discoloration. THIRD, ALL THREE OF THESE FILMS ARE LONG-LASTING. 3M Scotchgard Pro is warrantied for 7 years after installation. XPEL Ultimate and LLumar Platinum/SunTek Ultra are warrantied for 10 years after installation. And all of these films have a reputation for maintaining a high level of performance over the life of their warranties. Of course, if you abuse the film or don’t maintain it well, it will deteriorate at a quicker pace. But on the other hand, if you do maintain the film well you may see it continue to perform well beyond the life of the warranty. All that to say, all of these films have longevity to them. 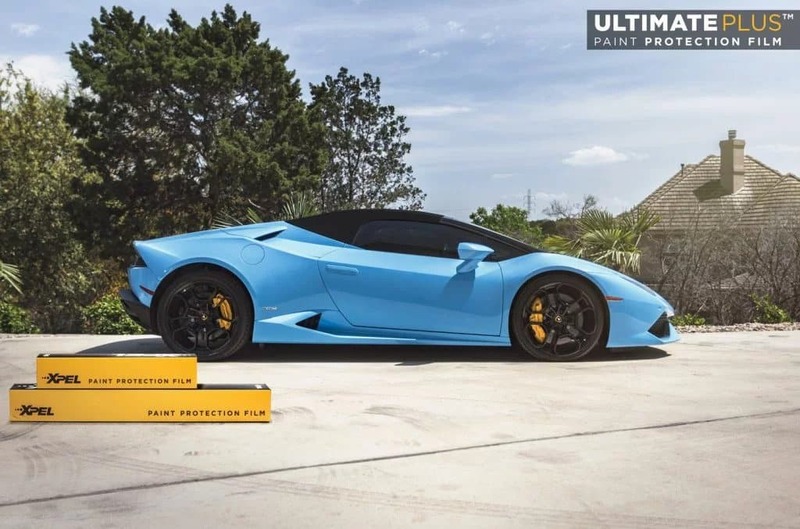 Now before we get into the differences of these films, we should stop and say that those three items I mentioned above are really the most important factors in a Paint Protection Film. You want a film that is going to protect at a high level, that is not going to inhibit the appearance of the paint, and that is going to last for a long time. If you get a film that does all three of those things, you have a win-win-win. And as we’ve said, all three of these films do all three of those things very well; which is to say, you can be a happy customer with any of these choices.